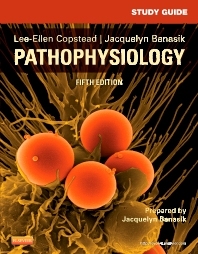 Use this study tool to master the content from Copstead and Banasik’s Pathophysiology, 5th Edition text! Corresponding to the chapters in the textbook, this study guide helps you review and practice the material with a variety of exercises and question types, including multiple choice, true/false, matching, fill in the blank, compare/contrast, and labeling. Case studies provide real-life examples of how you will use pathophysiology in your career. More than 1,500 questions in a variety of question types reinforce understanding, including multiple choice, true/false, fill in the blank, and matching questions, plus labeling exercises and compare/contrast tables. More than 250 case studies are included at the end of each unit, and rationales to the answers are provided in the answer key.